Today's inspiration is so true... and although we've passed almost half a year, I didn't realize this until now. 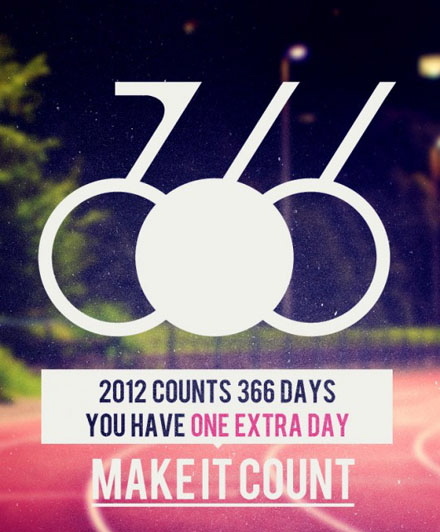 We have 366 days in 2012! Which means, we have one bonus day to do what we don't usually have time to do, or are too afraid to try... So let's give back to what time has gifted, and let's make the best out of that extra day that can, why not, be today! Have a great day, and remember... make it count!